I love creating beautiful photography for the marketing efforts that help food manufacturers remain successful. 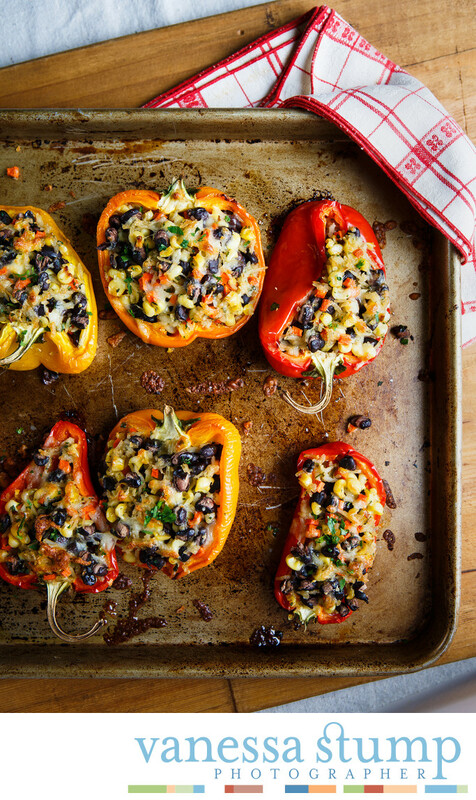 Something as simple as rice may look boring in the package, but takes on a whole new life when used as part of a delicious filling in stuffed bell peppers. Rather than take a clean approach to this image, the stylist and I agreed that we wanted the food to look homemade, as though it just came out of someone's oven. This is why we chose a time-worn baking sheet. The red and yellow color of the bell peppers popped beautifully, and the red and white color of the kitchen towel helped tie everything together while making it look homey.